I spend a great deal of time encouraging young and older Christians, working along side OM Transform Teams at their conferences, encouraging and praying with many before they go out into the countries where God has called them, visiting independent missionaries, spending time in other Eastern European countries but Serbia and Macedonia is where I spend a great deal of time encouraging, mentoring, speaking and outreach with the young people. Up and coming engagements & Prayer points. will be joining us for two weeks along with eldest son here in Bristol. See my Latest News Page for all my up to date news. See Global Passion on Facebook. I have known Tony since he first joined Operation Mobilisation over half century ago. God has used him in local churches while he was successful in business helping him to support Gods work and especially OM. Since stepping out of business, often called retirement God has given him a whole new global ministry. Losing his dear wife Rita so suddenly could have knocked him out but instead in answer to prayer it has released him into a whole new dynamic dimension of ministry. I hope you will pray for him and support his ministry. We work together especially in literature projects and he works in association with OM Special Projects which I am the Director of. 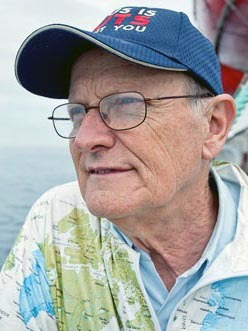 George Verwer, Founder and former Director of OM.